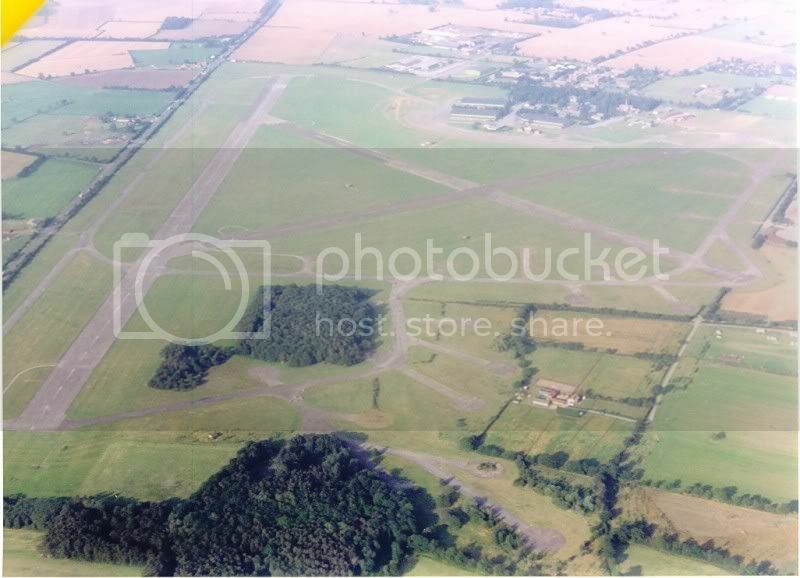 Swinderby airfield (RAF Swinderby, ICAO: initially MWXS, then EGXS) 190 kilometer north of London. 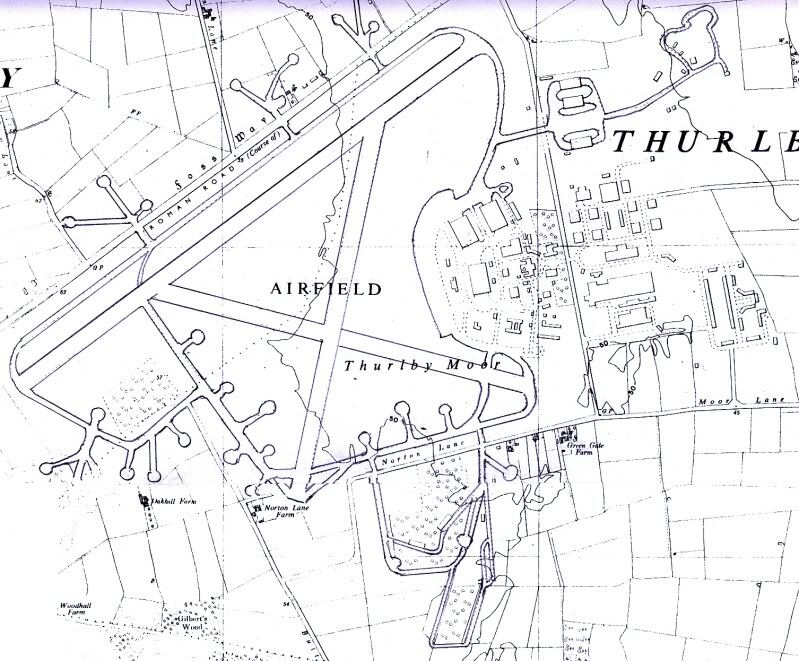 The airfield opened in 1940 and was one of the last 1930s 'Expansion scheme' airfields to be completed. 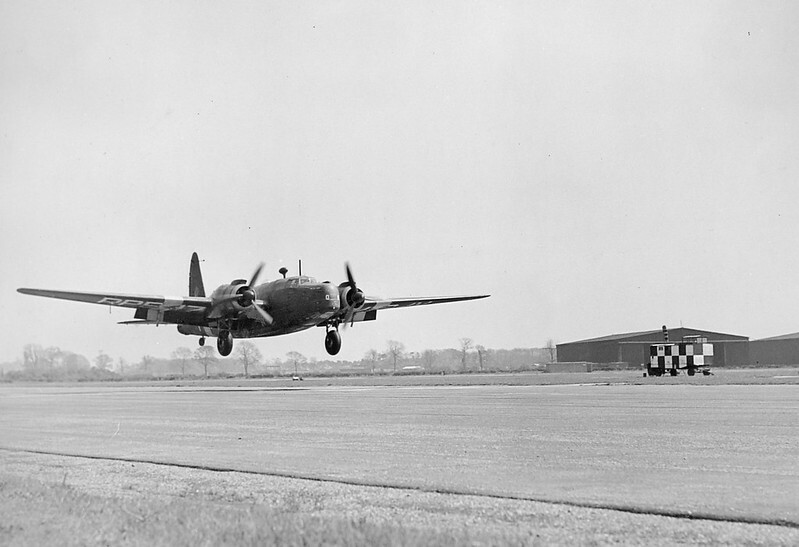 In 1942, the airfield was also home to two Heavy Conversion Units (Bomber Command training units): 1654 HCU and 1660 HCU, with the latter remaining at Swinderby until September 1946. RAF Swinderby became a supporting unit to HQ No 5 Group when they moved to Morton Hall in November 1943. RAF Swinderby aerial photograph dated April 1941. 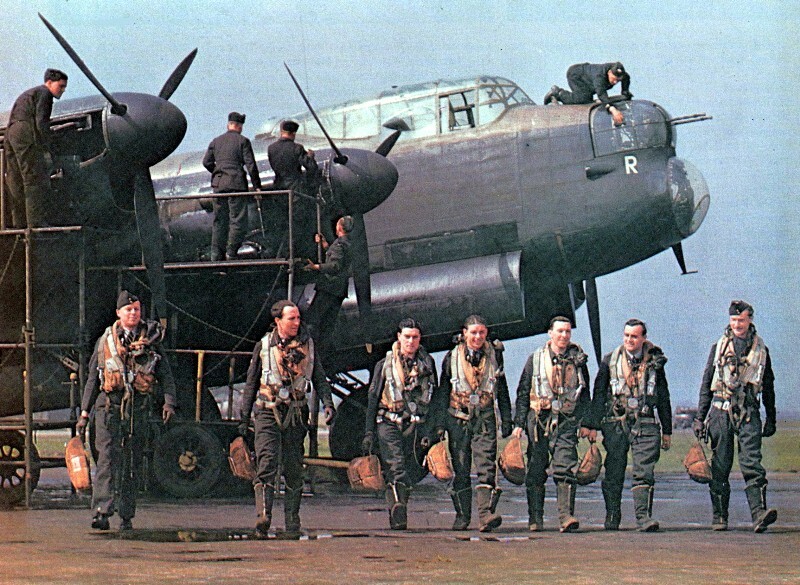 Rare World War 2 colour photo of an operational Lancaster crew of 50 Squadron at RAF Swinderby. After the war, Swinderby was home to 8FTS, converting new pilots to the de Havilland Vampire jet fighter. 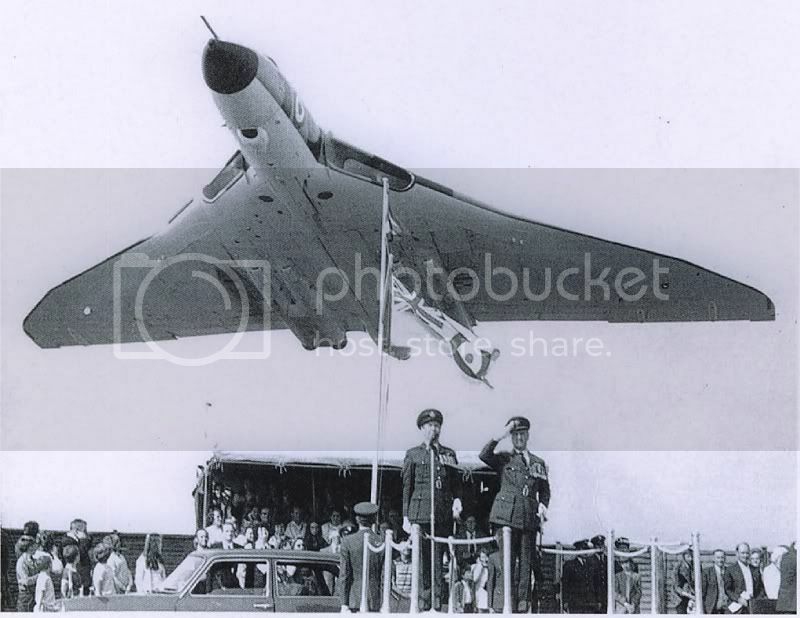 In 1964, RAF Swinderby became home to No. 7 School of Recruit Training, responsible for the initial military training of all male enlisted personnel. The School was renamed RAF School of Recruit Training in 1976, when all female training was brought to Swinderby as well. The first integrated Flight (males and females) begain training in November 1988. The final pass out parade was held in July 1993, before the School moved to RAF Halton and RAF Swinderby closed permanently. The airfield was sold in 1995 to be mined. For years they left the airfield untouched however, and rented the land to a company who held the Swinderby Antiques Fair 5 years per year. 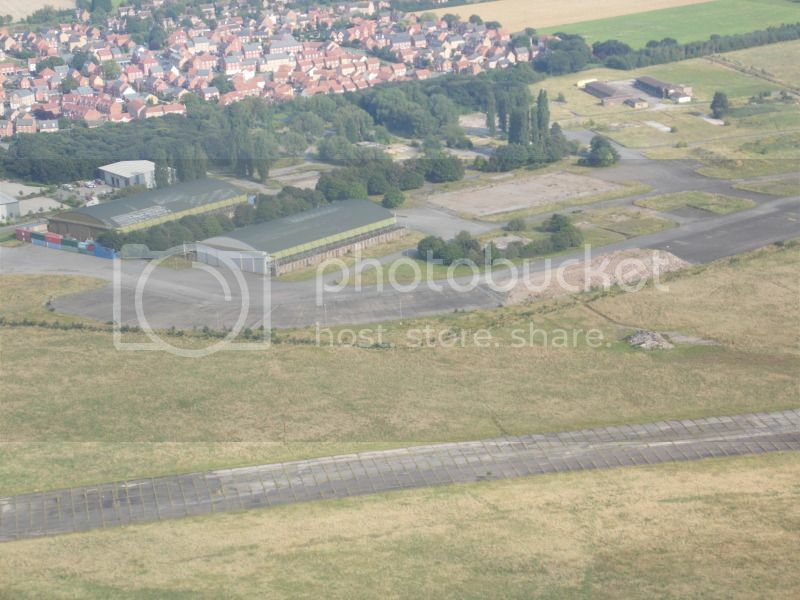 Demolition of the logistics site began around 2008 until the hangars and control towers (Swinderby had two: the old 1939 villa style tower and a more modern 1955 building) remained in 2011. By 2012 only two hangars remained.